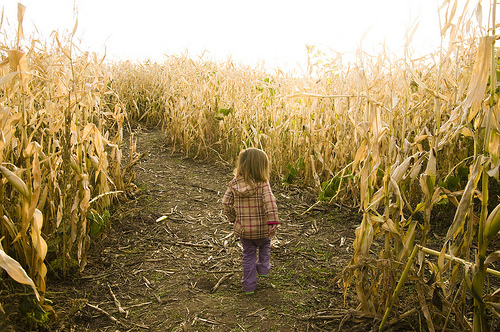 Pumpkin Patches And Corn Mazes And Apple Orchards – Oh My! There are few seasons that are as steeped in annual tradition as autumn is. We celebrate abundance as we watch leaves falling off trees in anticipation of brand new blossoms. Nowhere is this celebration more enjoyable than at the cornucopia of pumpkin patches, corn mazes and orchards across Vancouver Island. I’m beside myself with excitement to take my 18-month old niece on her first trip to a pumpkin patch next weekend. Now that she’s walking, it’s time she has her first pair of rubber boots to mark the event! While we plan on staying within the Comox Valley to do so, here’s a quick round-up of the Island’s best seasonal farms that are worth the trip. Seasonal vegetables and a hearty pumpkin patch are a draw to this north Island farm. Sustainable and organic farm growing apples, pumpkins, lavender and garlic. Open daily during October from 10:00 a.m. to 5:00 p.m.
Uncertified organic orchard featuring over 15 apple varieties plus juice, jelly and other seasonal fruit such as pears and plums. A spooktacular display of pumpkins are the highlight of this acreage featuring hay rides, a pumpkin patch and steaming hot chocolate. 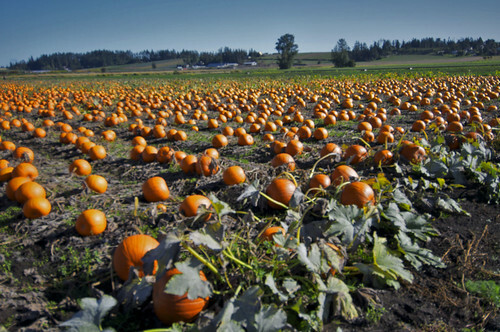 Extensive pumpkin patch and corn maze with hay rides and pick-your-own pumpkins. Horse-drawn wagon rides, pumpkin patch plus u-pick pumpkins, farm tours, covered picnic area and a pumpkin-smashing catapult! Therapeutic community farm with a pumpkin patch; also features seasonal fruits and vegetables, herbs and farm fresh eggs. Apples, pears and squash are all in season right now, but make sure you taste some of their fruit pies and jellies in the farm’s bakery! Fresh pumpkins, seasonal produce, farm market and specialized school tours. Close to downtown Victoria, Galey Farms features a farm train, 6 acre corn maze, old western town, pumpkin patch, petting farm and a Halloween haunted house in October. Farms are likely to be very muddy this time of year, so gumboots are a must! While some farms listed feature free admission, most produce – and particularly pumpkins – are sold on a cash-only basis, so leave your debit card at home. Call ahead before bringing your family’s canine companion along. A few farms won’t allow dogs on the premises. This is an awesome list, I am going to share, thank you!